Well folks, now that I’ve shaken winter off like I shake sand crabs off my toes at the beach, I’m ready to share what’s been keeping me busy all spring long! Springtime is alternately cold and warm, and definitely wet. The past week has seen rain and snow and sunny days one after another – deep, soaking precipitation that is raising the watershed and filling the reservoirs beautifully! Because of all this rain, verdant growth, and a need to reconnect to a warming earth after a long winter, I’ve been going nuts devouring my yard! Grazing is much more fun than mowing, ya know? Sweet little star-sister Chickweed has been absolutely prolific along my fence row! Y’all remember Chickweed? She has brought a fresh burst of flavor to my salads, I’ve been infusing her in vinegar, and soaking some in vodka to make a lovely light green tincture. I’ve also put chickweed into Wild Greens Pesto and frozen it in batches for use during the rest of the year. Then there is my dear friend Violet. Talk about an amazing ally to have living with you – these lovely little weeds are full of good medicine for skin and as food, too! I’ve been off dancing with violets! Salicylic acid…you know what that stuff is, right? 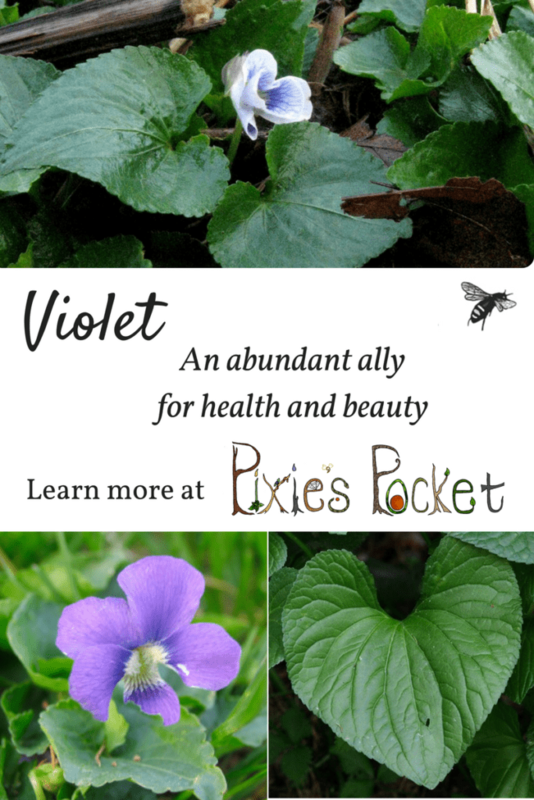 It is an active ingredient in your aspirin and acne creams and wart removal systems, and violets just happen to be chock full of it (as are white willow leaves and bark). If you are sensitive to fragrances and some of the more abrasive types of over the counter cleansers like I am, try out this homemade violet face wash instead. It’s simple to make! Gather fresh violet leaves and rinse them gently to remove any dust or dirt. Shake the water off as best you can or pat them with a towel to dry. Bruise the violet leaves by crumbling them up a bit as you add them to the jar. Pour the witch hazel over the leaves and stir it with a chopstick to get the air bubbles out. Put a lid on the jar and label it with the name of the project, ingredients, and the date. Allow the jar to sit for a month in a dark cabinet, or at least somewhere out of the sun. Strain out the leaves and add them to your compost. Pour the violet leaf infused witch hazel in a bottle and label it. It will probably be a very pale green color. Use this gentle astringent after washing your face to help reduce blackheads. It is gentle but effective, cleansing dirt and oil from the skin without drying it. It doesn’t burn my sensitive skin like most store-bought cleansers, which leave my face red, raw, and tingling unpleasantly. Violet can also be used to help remove warts. 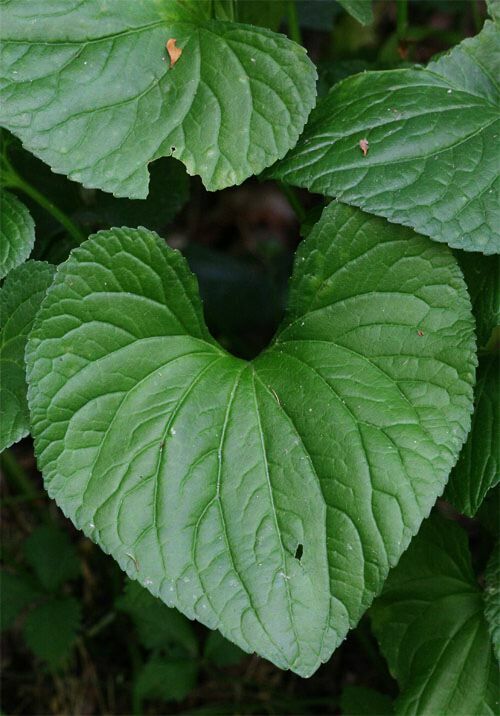 Make a mash of fresh violet leaves and use it as a poultice over the wart. Change it out every few hours and you should see some changes within a day or so. If you don’t have any fresh violets in season, you can use the witch hazel face wash recipe from above, or make an alcohol-based tincture. Violet brings me such joy! Seeing her leaves erupt from the ground like the earth itself sharing her heart with me is a post-February valentine. Every spring, as soon as I notice little bits of purple all over the yard, I screech with joy and pick the violet flowers and stuff them in my mouth like a kid at a candy store! Blooming violets confirm for me that spring is truly here and set in for good…violets and thunderstorms mean that winter is packing for its well-earned vacation. There is something that I adore about violet, a little secret she holds. You can eat every single flower that you see in your yard and you will not harm the reproductive cycle of the plant! Her dainty purple, blue, or white flowers exist JUST for beauty’s sake. Isn’t that delightful? Her seeds spread later on in the season from small green flowers that you probably won’t notice see unless you look for them. 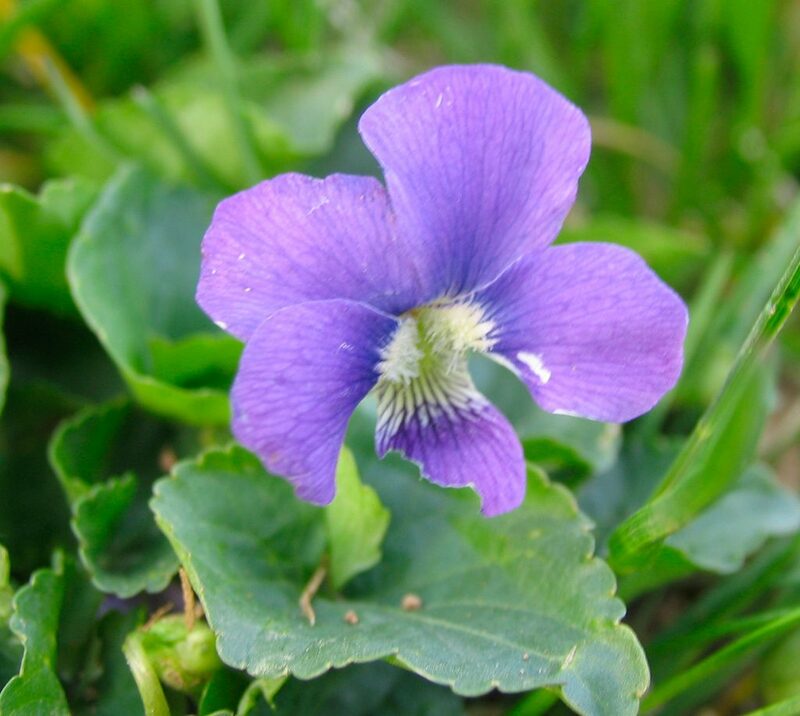 You can eat violet leaves, flowers, roots….it is all good! Rich in Vitamin A, violet leaves add a wonderful dark green flavor to a salad, use larger ones in place of grape leaves in your dolma recipe, add them to a wild pesto, or stew them up with your poke greens or bittercress. You can candy her flowers, toss them in your salad for a spot of amazing color, or just be a madwoman like me and devour them straight from the ground. Peace be with you, and may dirt be under your fingernails soon! very interesting article! I never knew…they have been a favorite for years!